Fortnite: Battle Royale’s future-slapstick aesthetic might be one of the most consistent things about the game, outside of its addictive, madcap gameplay. 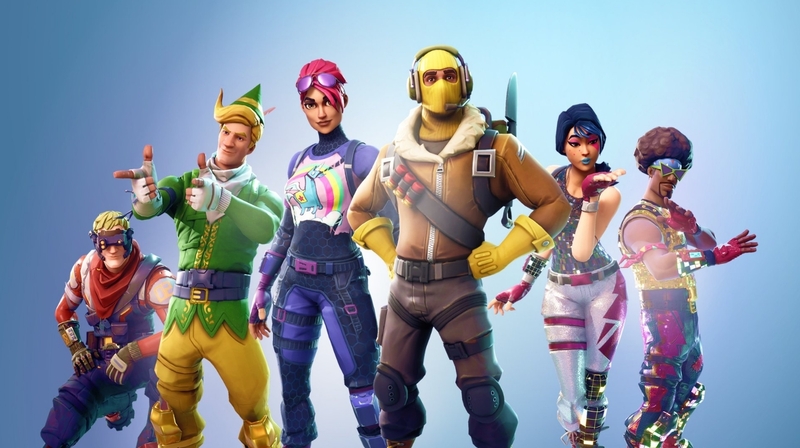 Epic Games has shown that there’s very little they won’t put into the game when it comes to cosmetics. Dinosaurs, teddy bears, hamburger people, and more. Epic’s willingness to let the game be as silly as it wants to be has opened up a lot of creativity from the game’s community. One of the most popular kind of fan creations are potential skin concepts, and we’ve collected some of the most impressive here. The storm is coming. Man, we really miss Game of Thrones. 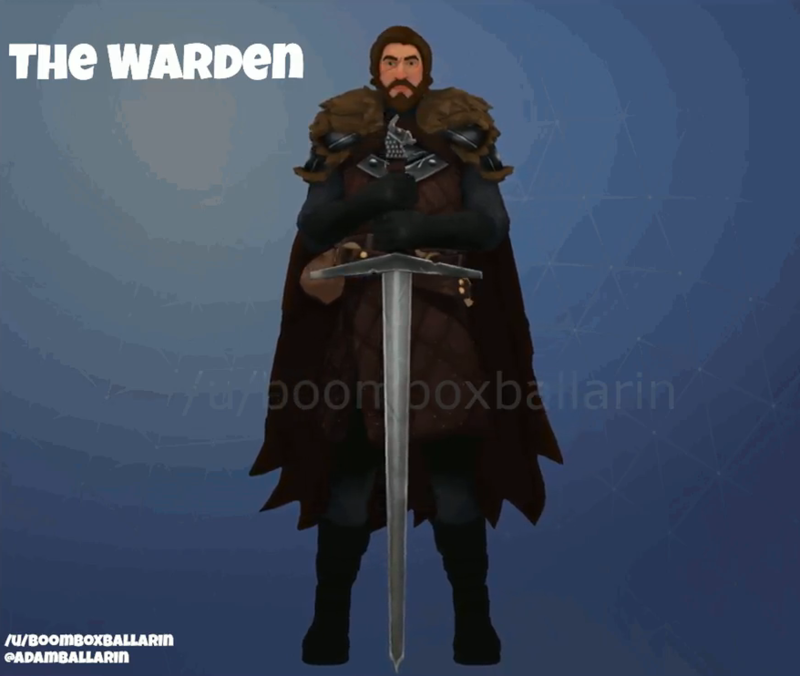 This skin, complete with a llama-head on the hilt of its sword pickaxe, would sate our thirst for blood, dragons, and political deception/decapitation. 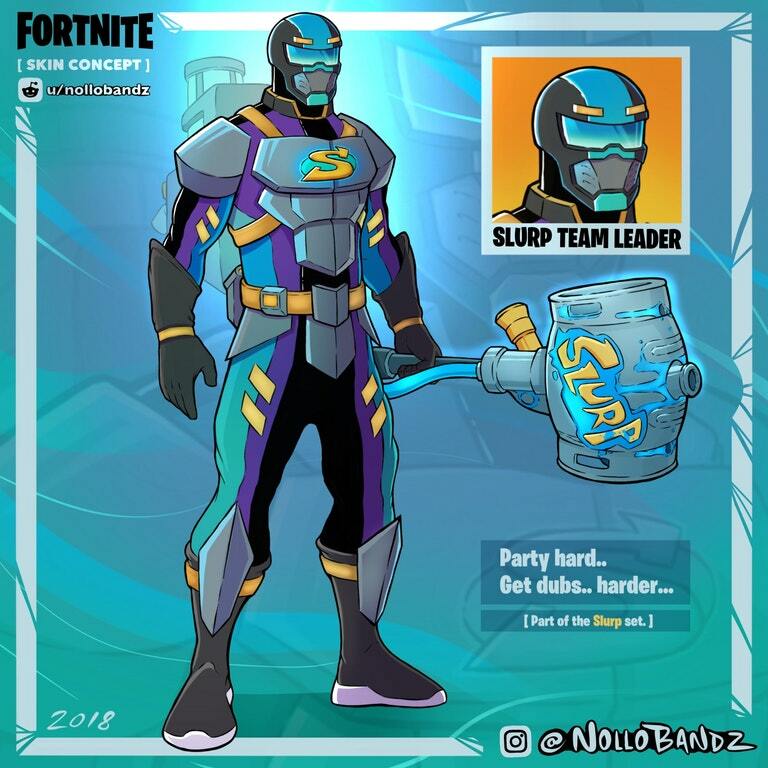 “Party hard…get dubs harder…” says it all for this skin concept, who perfectly matches the Party Animal pickaxe. 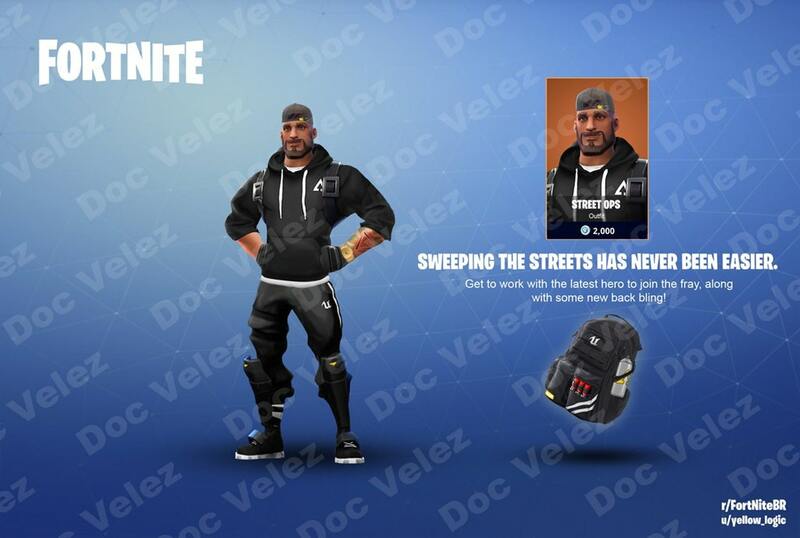 This dude looks mean and lean and ready to pick up some victory royales. You’ve definitely seen this guy before. His face is all over graffiti placed around the map, and this concept beautifully brings him to life. He comes fully equipped with back bling and a stop sign pickaxe. Who hasn’t found their way to watching the Food Network when they can’t sleep at night to find a Diners, Drive-Ins, and Dives marathon? 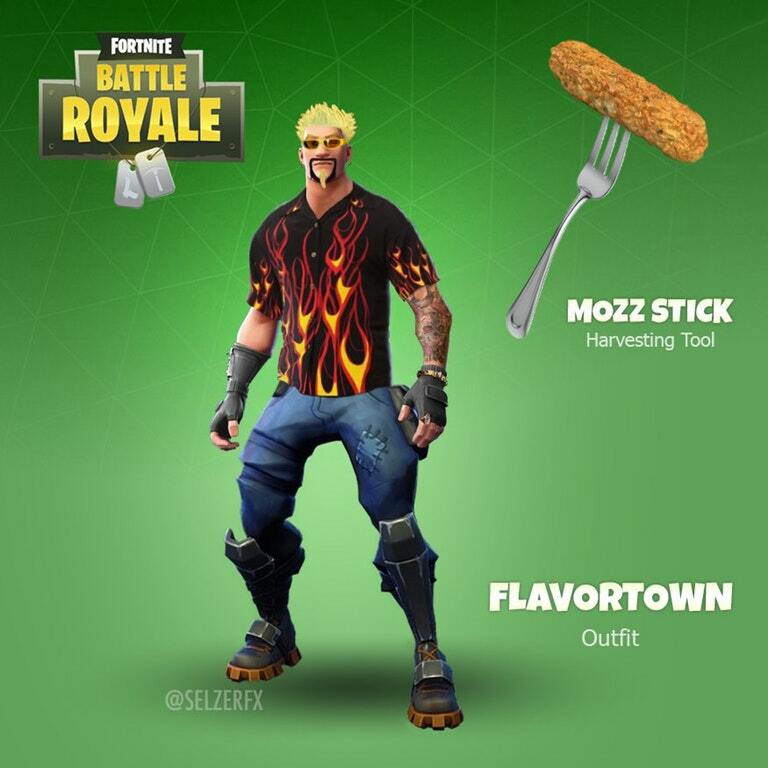 Guy Fieri’s infectious and sometimes obnoxious behavior would be a great fit in Fortnite. Who wouldn’t love a mozzarella stick pickaxe? 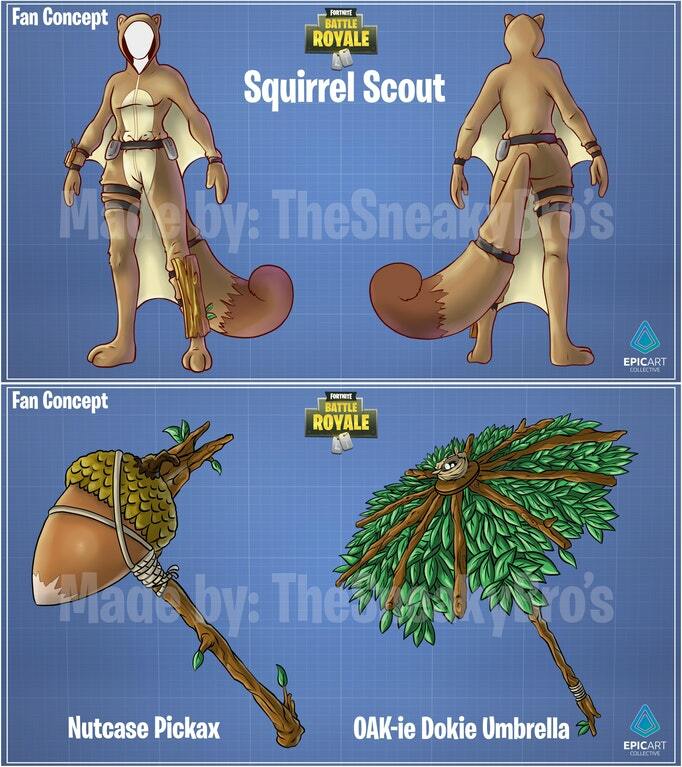 This concept is awesome, as it would be hilarious to run around with a giant acorn pickaxe. The flying squirrel costume is just icing on the cake. This entire set is impressive, nailing the clown car vibe wonderfully. 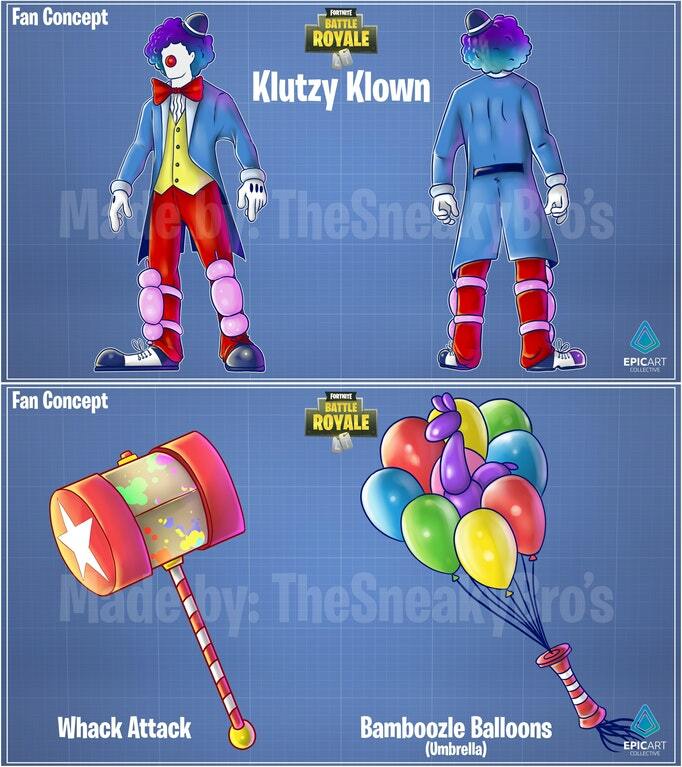 We especially like the balloon concept for a glider, and the massive (hopefully squeaky) hammer pickaxe. Anyone hungry? 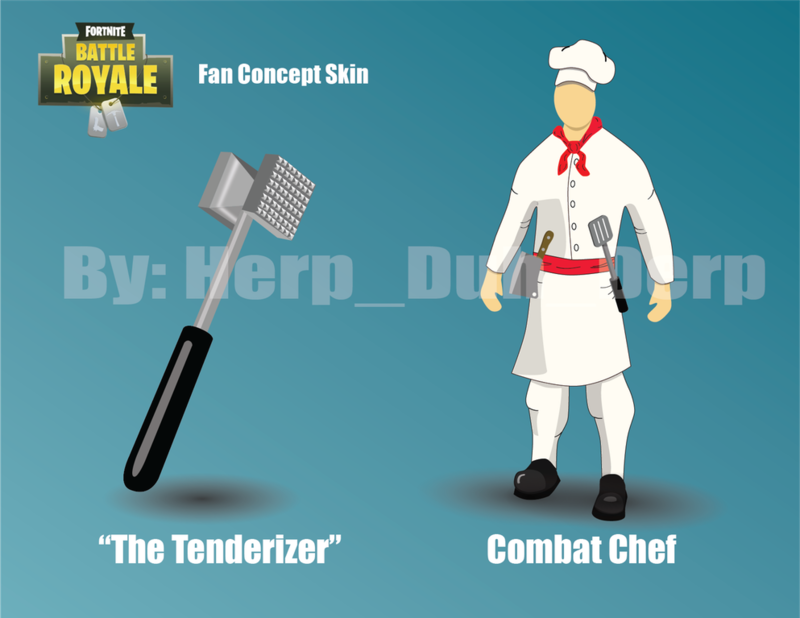 Combat Chef could help you cook up some victory royales with his especially cool Tenderizer pickaxe. 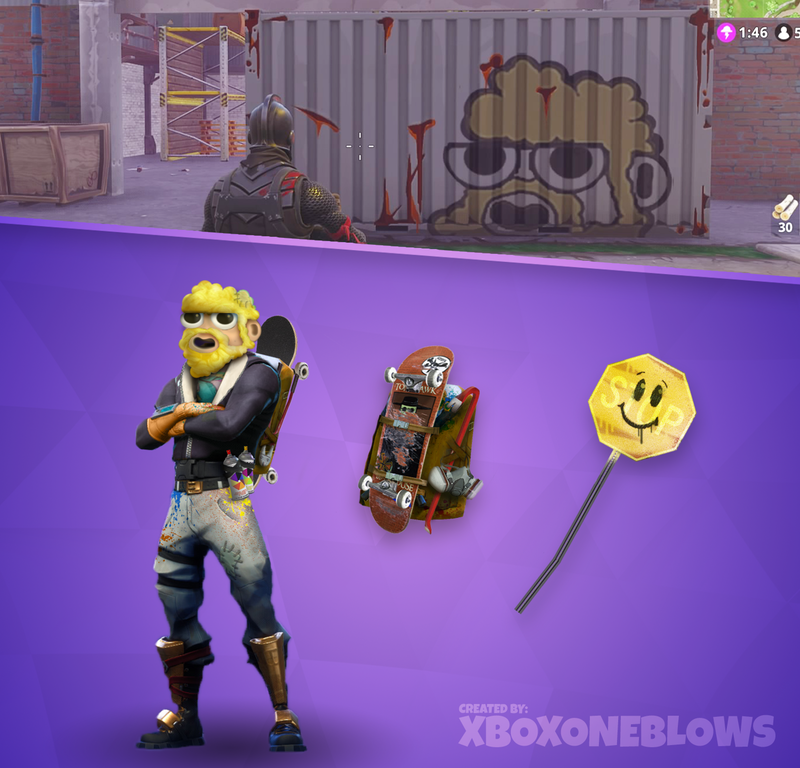 For the Fortnite player who imagine themselves parkouring into the fray, hit the streets and tag your base with some sweet sprays. Actually, that’s a good idea. An ability to use emotes as sprays. Imagine that. 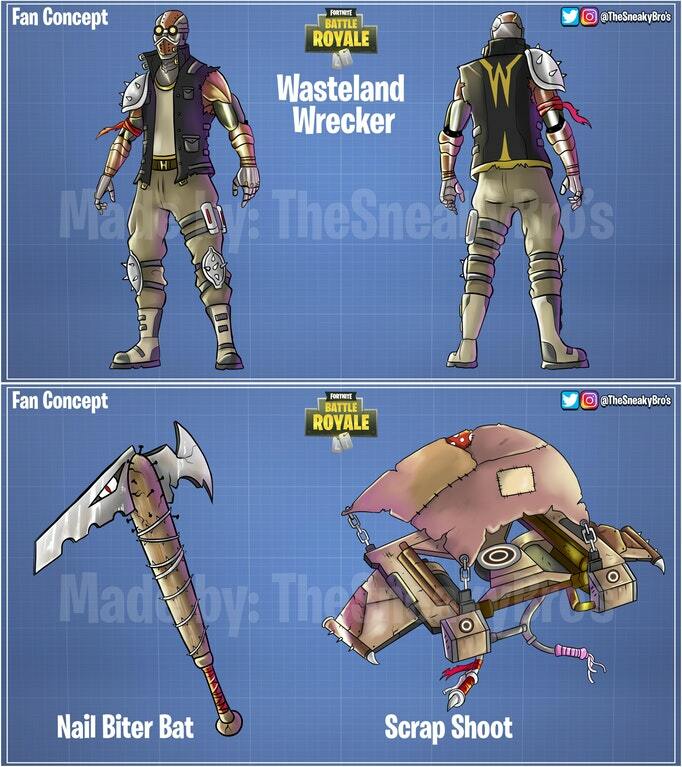 This skin would complement the Rust Lord skin that came with the season three Battle Pass, especially considering the overall theme of Fortnite as a whole. Did you know the game actually began as a post-apocalyptic co-op, tower defense, base builder? That’s fine, no one does.